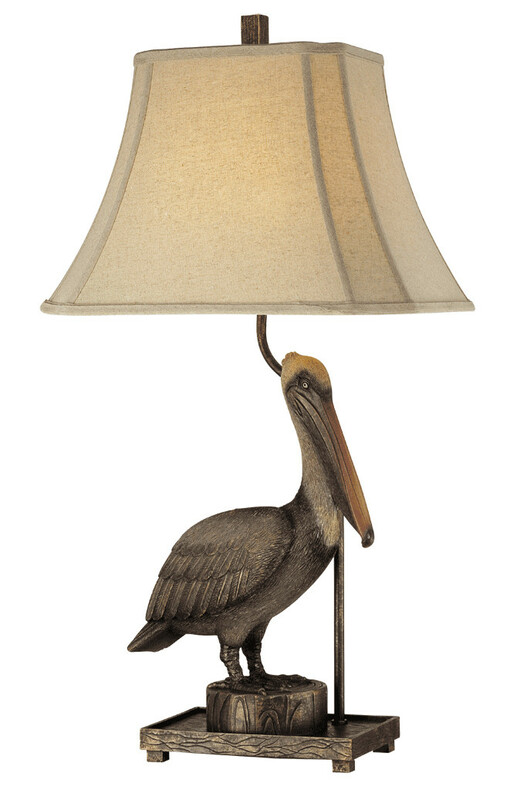 A realistic looking Pelican in a antiqued look decorates this lamp's base. Bring a touch of the outdoors into your home with this truly unique coastal lamp. What a elegant Pelican!